Sure the Pope is in town and the United Nations General Assembly is about to kick off, but New York City-based cocktail aficionados are more excited about tonight’s LuckyRice Moon Festival Cocktail Feast that’s going down this evening at the Bowery Hotel. 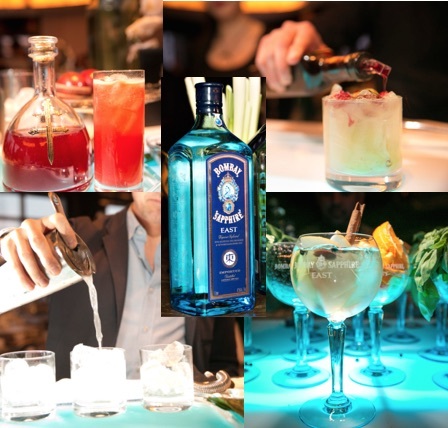 The Bombay Sapphire East-sponsored event, which is celebrating it’s sixth year, will bring together some of the City’s top cocktail movers and shakers (see what I did there?) for an update on the traditional Harvest Moon Festival celebrated for more than 3,000 years in Vietnam and China. The drink will be gin-based, my favorite kind (well, next to free and plentiful) and the bartending talent on hand will include Takaaki Hashimoto of B FLAT, Orson Salicetti of Lumos, Gabriel Lehner and Vincent Vitek from Macao Trading Co plus others from Leaf Lounge, Maharlika, Nitecap, The Gorbals and Seamstress.